Dissatisfied with the appearance of your smile? Are chips, gaps or dark stains detracting from how you look and feel? At the dental practice of Dr. Todd Yoshino, your dentist in Federal Way, WA, you can change all that with porcelain veneers, tooth-shaped shells of premium grade porcelain. Veneers camouflage many kinds of defects, beautifying, and reinforcing weak enamel. You can reshape your smile! This Federal Way dentist excels in cosmetic dental services. He recommends veneers to patients with healthy teeth which just need a boost in color, texture, shape, or size. Perhaps you cracked a tooth or two in a fall. Maybe tobacco stains have darkened your front teeth, or did Nature give you uneven or strangely shaped teeth? Oral impressions Using these, a master ceramist will fabricate each veneer from thin, translucent porcelain. Enamel resurfacing The dentist removes a small portion of tooth enamel so the veneers fit correctly. Wearing of temporary veneers These resin laminates will protect your tooth as you wait for your permanent veneers. Placement and bonding of the new veneers Dr. Yoshino will check the fit carefully and then apply a strong, tooth-colored cement, curing it with a UV light. You may experience slight dental or gingival sensitivity during the subsequent few days, but overall, you'll adjust to your reshaped smile rapidly. Brush and floss carefully, and see Dr. Yoshino about any problems or concerns you have. Of course, keep your routine dental visits, too. 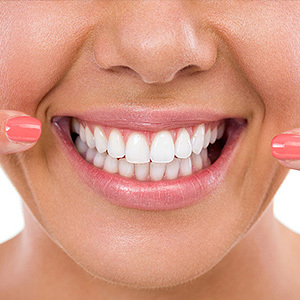 Veneers last upwards of ten years and are highly resistant to stains, says the American Academy of Cosmetic Dentistry. So, anticipate having a great smile for a long, long time. More and more people have determined to improve their smiles and their personal outlooks with porcelain veneers. Will you be the next happy patient? See Dr. Yoshino for a cosmetic dentistry consultation. He'll give you all the details. Phone us for an appointment in Federal Way, WA, (253) 815-0441. A great smile compliments the real you by expressing your personality and showing people who you are. Unfortunately, dental defects can sometimes stop you from wanting to show your teeth off. However, cosmetic dentistry services can change all of that. Your Federal Way dentist, Dr. Todd Yoshino, loves to make people smile with confidence. As such, he offers many aesthetic treatments to recreate damaged smiles. Learn more here. Cosmetic dental services build on the foundation of healthy teeth and gums. They cover, rebuild, remove stains, realign crooked teeth, and more. Applied singly or in combination as a complete smile makeover, aesthetic treatments from Dr. Yoshino's Federal Way office are sure ways to make it so your smile is brimming with good health and confidence. Cosmetic dentists have specialized training in state-of-the-art dental techniques. Combined with premier materials, these techniques render artistic results that are truly individualized. At the heart of any makeover—whether simple or complex—is the dentist/patient consultation. During this dental, you will tell Dr. Yoshino what you would like to improve, and then be presented with realistic ideas on how to arrive at these goals. A finalized treatment plan works toward those goals step by step. One of the most popular cosmetic services available is professional teeth whitening. Delivered either during one in-office visit or more gradually at home via custom-made acrylic trays, concentrated peroxide gel powers out stains from tobacco, dark drinks, dark foods, and some prescription drugs. It's an economical, fast, and supervised way to brighten dull tooth enamel for an immediate impact. 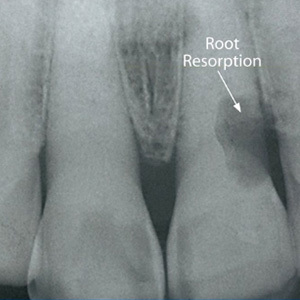 Another popular service is composite resin bonding. Using a tooth-colored blend of glass particles and plastic, Dr. Yoshino adds structure and shape to teeth flawed by cracks, chips, uneven length, small gaps, and more. Cured and polished, composite resin is durable and natural-looking. Composite resin bonding often is combined with porcelain veneers. Veneers, or dental laminates, disguise the front side of teeth which have larger defects, such as substantial chips, intractable stains, or odd positioning (tooth rotation). 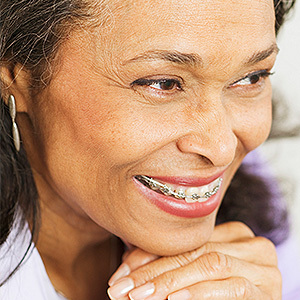 Often called "instant orthodontics," customized veneers strengthen tooth enamel, too. They are a less invasive alternative to dental crowns. Finally, for people desiring straighter, healthier smiles with less hassle than traditional braces, Dr. Yoshino offers Invisalign clear aligners. Made of smooth, biocompatible acrylic, these snug aligners reposition teeth discreetly and quickly for the best cosmetic and oral health benefits possible. For more information what cosmetic dentistry can do for you, contact Dr. Yoshino's office at (253) 815-0441.